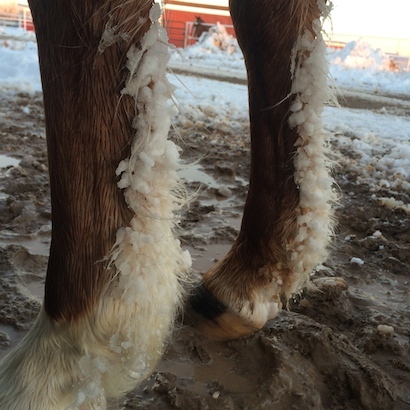 What is the worst part of keeping horses in snowy weather? Snow, snow, go away and come back…next year! In our travels this year we have managed to avoid snow for most of this winter but we are headed to The Michigan Horse Expo March 13th-15th and I’m hoping for NO SNOW. I like the snow…at least some snow…but there are a few drawbacks that come with it. 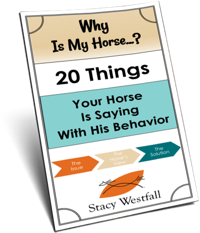 Frozen water buckets, wind chill and slippery footing can be an issue (check out my blog: What you would recommend for de-icing walk ways for horses? I have even seen a crust form on the top of snow that was sharp enough to cause horses legs to be rubbed raw from simply walking. What do you consider to be the worst part of keeping horses in snowy weather? 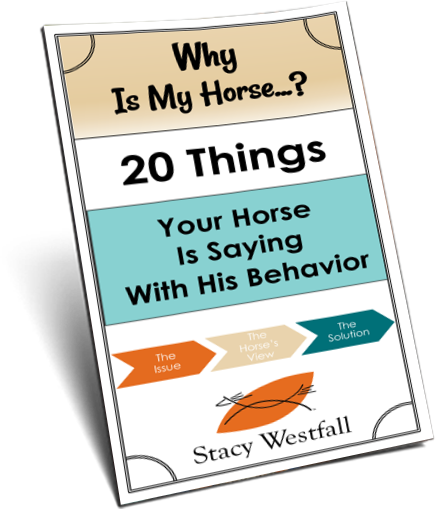 ← It seems there are a variety of opinions as to how soon to ride or work a young horse. Why? Here in eastern Canada we have the coldest Feb. in 115 yes 115 years, and several recordings of the coldest capital city in the world. Many windy nights of 25 and 40 below 0. Early Jan. We had freezing rain and had such a heavy crust that even horses running outside, could not move around enough, and some incidents of colic occurred. For sure enough already.winter go away. Tonight it is 20 below 0 again. Here’s hoping for an early spring and long and pleasant summer and lots of great horse days for us and our equine friends. I think you covered most of it. This year, I can’t even bring the horses out of the barn because there is so much ice surrounding most of the barn. I would love to know what is good for keeping the ice off the walkways. The temperature has been so low that it was too cold to be out anyway. The buckets have been frozen solid every day and about that crusty top on the snow, we have it everywhere right now as we had freezing rain yesterday afternoon on top of fresh snow. So, there, I am done ranting and roll on spring. I can’t wait and I am sure my horses feel the same way. They are predicting some warmer temperatures for the next few days so I will really will enjoy it when it comes. My Zeus wears bar shoes and pads up front. Even using cooking spray the snow balls up under is feet until he’s walking on snow stilts. So, unless I can ride him on macadam, we’re grounded until the snow melts. Hate it because we both could use the exercise! Bringing a snow-covered horse into the barn, where the snow melts on him and now you have a wet AND cold horse. We don’t get a huge amount of snow, or maybe we do, and it just all blows away. My least favorite part of snowy weather is chipping ice balls out of my horses feet and negative number temperatures and wind chills! I’m so ready for spring, sunshine and warm air on my face!